Minimum Deposit in Dollars: DraftKings players who make an initial deposit of at least $5 will receive a FREE $3 ticket to play in any $3 paid DFS contest. Max DraftKings Deposit Bonus Amount in Dollars: Players can double up on their first deposit up to $200 on DraftKings New Jersey Sportsbook. Support Hours: Monday – Sunday – 00am to 11.59pm EST. DraftKings Deposit Methods – Visa, Mastercard, Discover, American Express, Paypal, Check. DraftKings Withdrawal Methods – Paypal, Check. Generous-bonus for New Jersey bettors. Huge prize pools on offer. No telephone support, only call-backs. Odds could be more generous. Originally established in 2012 with offices in Boston, New Jersey and Malta, DraftKings now offers players two ways to bet; DFS, and a sportsbook recently added for New Jersey residents with both online and land-based (opening at Resorts Casino in Atlantic City in November 2018) sports-betting options. Across the U.S., millions of sports fans log-on each week to play in DraftKings DFS contests that are closely aligned with some of the world’s most popular sports betting markets. DraftKings offers DFS contests for a multitude of sports from Football (US & Canadian), Soccer, Tennis, Golf, Baseball, Hockey, Mixed Martial Arts, NASCAR, eSports, College Football and Basketball, League of Legends and Basketball. Currently, the DraftKings Sportsbook is only available within the state-lines of New Jersey (although players can check out the betting lines from anywhere in the world). Note, DraftKings fantasy sports is not available for those located in Alabama, Arizona, Hawaii, Idaho, Iowa, Louisiana, Montana, Nevada or Washington. Separate accounts will be required if you wish to hold both a DraftKings DFS account and a DraftKings Sportsbook account (*Currently, Sportsbook accounts are only permissible for New Jersey residents-and-visitors only). Make a deposit to receive to receive a free contest entry (you can also do this later if you wish). After your initial first $5 deposit, your contest ticket will be credited to your account as a $3 free entry, which can be used at any $3 contest. If you do not have a DraftKings Sportsbook account, start by clicking the “Sign Me Up” button in the center of the Sportsbook homepage. You will be required to supply your social security number and information (to verify your identity to the Sportsbook – a different procedure to the DraftKings DFS site), date of birth and mailing address. As a requirement of their state of New Jersey sports betting license, DraftKings must verify the identity of each sports bettor on their sites. The account holder is not a key-casino-employee, nor casino employee that has been banned from betting in the state of New Jersey. The sports bettor is not a prohibited sports pool participant. The account holder understands no other person may access their account. General betting type explanations and rules. Free Bets and promotions guide. Guide to where sports betting is legal. ‘How to bet with Charles Barkley’ video guides. Sports Betting Guides for Football, Baseball, Mixed Martial Arts, Golf, Hockey, Basketball. DraftKings has a large variety of sports that can be bet on for both DFS fantasy sports as well as the DraftKings sportsbook as outlined below. Like most major international sportsbooks, DraftKings offers New Jersey residents and visitors the possibility to bet on almost any sport in the world. Naturally, all the big North American sports are covered, and with DraftKings there are some exclusive betting possibilities on League-of-Legends and Euroleague Basketball. The Cash-out feature (quit while your team is winning and win your bet) is an industry-leading innovation. Featured – DraftKings usually have a range of featured DFS competitions with guaranteed payouts where usually more promotions are generally available than regular DFS contests. Beginners Only – No experienced DFS players are allowed to enter these DFS competitions and you will compete against fellow-beginners only. 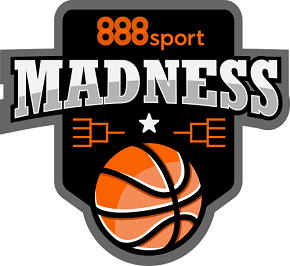 Casual – These types of contests are available to DFS contestants who are no longer beginners, however, are still looking to avoid or minimize their play against more-skilled and experienced-players. 50/50s & Double Ups – Players finishing in the top-half of all players in a DFS contest win prizes. Multipliers – DFS contestants have the opportunity to double their money, or continue to play for more. Tournaments – DFS contests can be played within a tournament format with set high paying prize pools and all winnings are guaranteed. DraftKings ‘Player Rewards’ – DraftKings new VIP program. The variety of new rewards on offer include Daily Missions, access to exclusive freerolls, Flash Bonuses on top of using Frequent Player Points (FPPs) in the store. DraftKings ‘Missions’ – Every day DraftKings posts a “Mission” on the site that rewards players for completing a certain task, like entering a contest or submitting a certain number of line-ups. Once the terms of the Mission are completed before 10:30 PM EST, you will receive a reward directly to your account by 11 AM the next business day (except for weekend Missions, which are generally awarded on the following Monday). Daily Missions usually reward players with FPPs. (Sportsbook) – Football Parlay Insurance, Odds Boost, Pools, Sports Betting National Championship. First Bet Matched up to $200 for NJ residents. The Daily Fantasy Football Appincludes the tools you need to research and build an NFL roster. Construct winning-rosters and manage your money from your mobile device. DK Liveis a play-by-play news app that allows you to monitor every game across the DFS spectrum. Customize your experience and follow only those players you want to. DraftKings Sportsbookapp allows you place traditional sports wagers and win cash in states where sports gambling is legal. Deposit Options – Visa, Mastercard, Discover, American Express, Paypal, Check. Paypal withdrawals take only 24-to-48 hours. Checks can take up to 8-to-10 business days. Use Paypal to receive your money faster. It is quite possibly in your best interest to select a sport you know well to increase your chances of winning on a more regular basis. Playing DFS is a lot more fun and interactive than traditional sports betting (simply betting on teams to win or lose). In a DFS competition, you’ll need to keep to a virtual salary cap, which is used for you to ‘spend’ and draft players into your DFS team. You’ll need to assemble a team that amasses the most touchdowns, yards gained and other key statistics each week or over the season. In an NFL DFS league, participants can choose a new fantasy NFL team each week; investing a fixed amount of (imaginary) money, spending from that budget on a quarterback, running backs, receivers, defensive linemen, linebackers etc., with each player coming with their own price tag, set internally by the DraftKings sports experts. For example, a superstar quarterback like Tom Brady of the New England Patriots will potentially cost a lot more than a struggling Brock Osweiler of the Miami Dolphins. The best DFS players are great ‘budget balancers’. If you’ve ever watched and loved the hit movie ‘Moneyball’, you’ll love how DFS works. Winners of the largest contests offered by the major companies may possibly be paid $1 million or more each week during the NFL regular season and in the hundreds of thousands for the other leagues. Prize money is drawn from the money earnt from each of the millions of player’s entry fees of just few dollars for each competition. Leagues are another game highly recommended for new DraftKings Users, where you can play in private league with a group of friends or work colleagues for a few games, or up to an entire season. DraftKings operates its DFS competitions across 41 US states, and to date, sports-betting only in New Jersey. To check all the laws in your home state and the legal availability of DFS and sports betting, see our State-by-State Guide to Gambling in the U.S.
DraftKings is now safer to use than ever before. Players funds are held in segregated accounts, their site implements the latest firewall and encryption technology to secure cash transactions, and they are a member of the Fantasy Sports Trade Association (FSTA), an organization that represents the industry. How does DraftKings Know I am not in NJ? 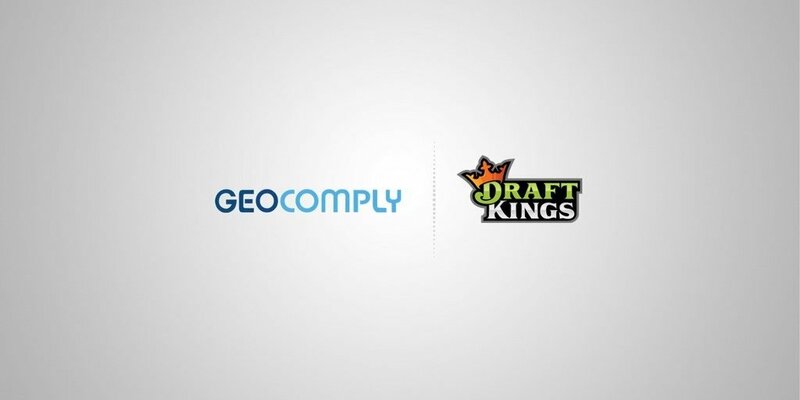 Once your DraftKings registration is complete, you will be requested to download the GeoComply plugin. Geo-location inside New Jersey state lines is a requirement of sports wagering with DraftKings in New Jersey before placing a sports bet. DraftKings easy-to-access Fantasy Sports and Sportsbook are user-friendly and easy-to-navigate, smooth-running platforms with a host of generous bonuses and rewards. More fast withdrawal methods will come in time, but the enormous range of pluses, including the big money on offer, are more than anyone can ask for. Try out DraftKings today.